Noah Centineo joins cast of new 'Charlie's Angels' — as a love interest! 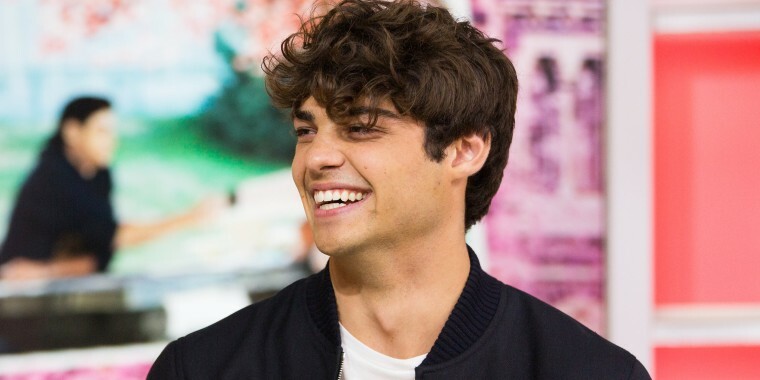 We've got good news for fans of dreamy rom-com star Noah Centineo. Noah Centineo became a rom-com sensation over the summer after starring in two Netflix hits — "To All the Boys I've Loved Before" and "Sierra Burgess Is a Loser" — and now everyone's new small-screen crush is making a move to the big screen. Sources tell TODAY the "it" actor has been cast in the upcoming "Charlie's Angels" feature film. Centineo will join a long list of Hollywood names set to bring the crime-fighting, girl-power story to life again, including Kristen Stewart, Ella Balinska and Naomi Scott — the trio of actresses in the lead roles. While this marks a move to action-comedy for the star, Centineo's romance fans will be happy to hear that he's set to play a love interest in this take of the classic tale. But there's no word yet on which one of the leading ladies will fall for the 22-year-old's character. The production is based on the wildly popular 1970s television series, as well as the film franchise that kicked off in 2000, but while it has the same name, it promises a new feel for a new generation. Filming is already underway for "Charlie's Angels," with "Pitch Perfect" star Elizabeth Banks serving as director, writer and producer. And she'll even star as one of the movie's multiple Bosleys. That's right. This time around the Angels will get their assignments from more than one Bosley. In addition to Banks, Patrick Stewart and Djimon Hounsou will also take on the part. Centineo and the rest of the star-studded cast of "Charlie's Angels" will hit theaters nationwide on Sept. 27, 2019.